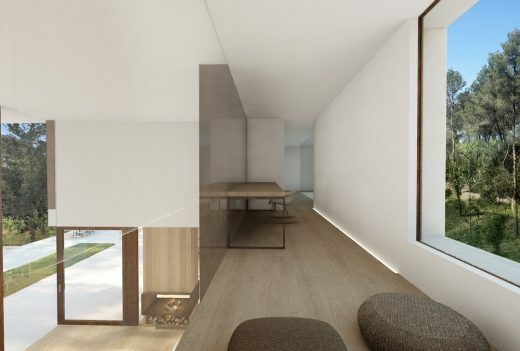 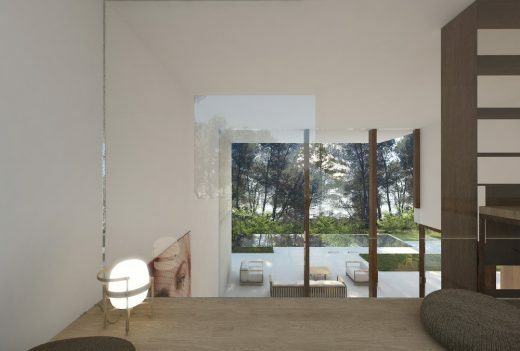 La Calma House is placed in a small town near Barcelona. 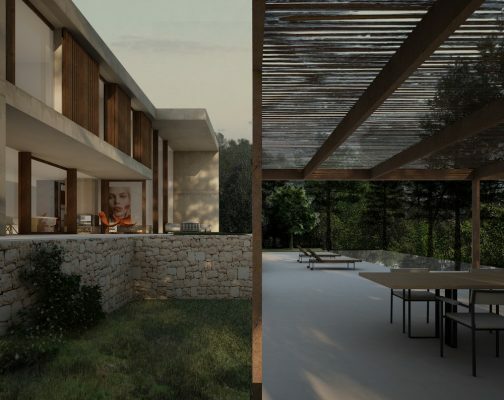 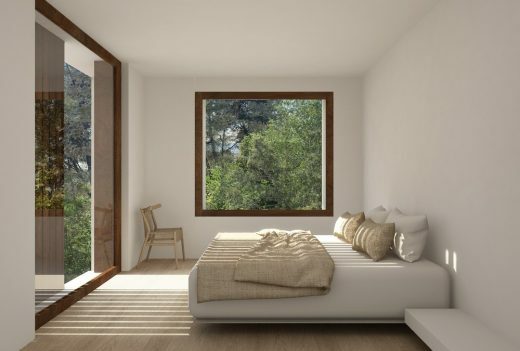 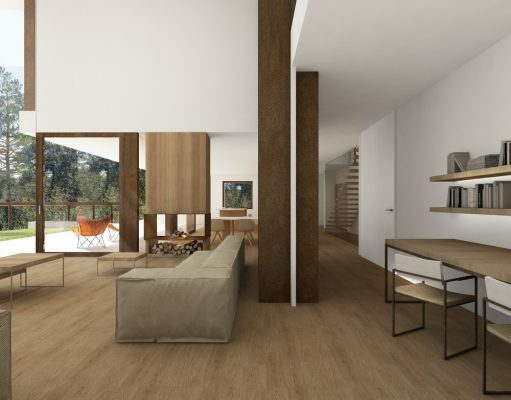 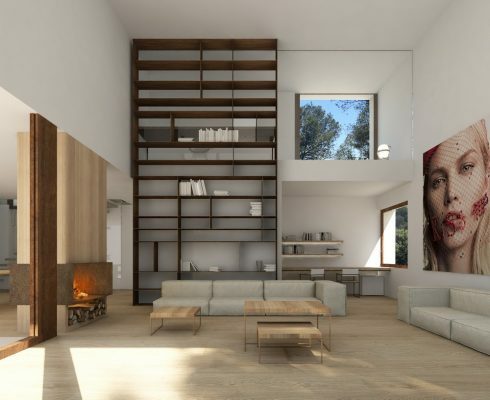 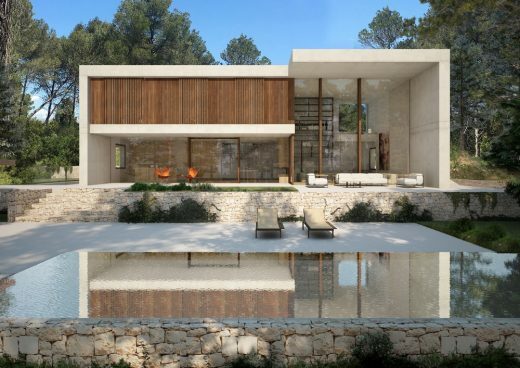 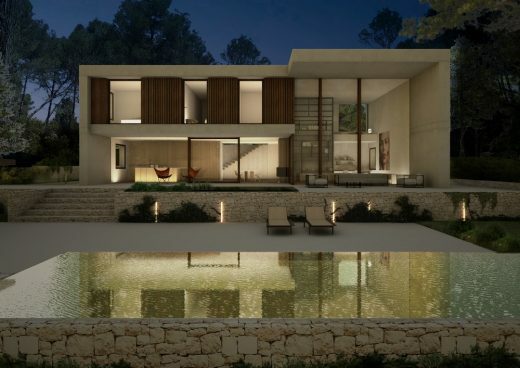 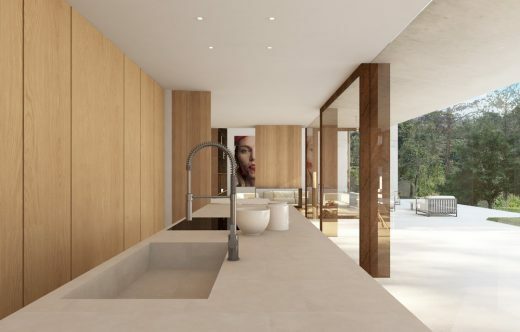 Its plot is located in a forest area with a very steep slope and an abundance of pine, oak and olive trees. 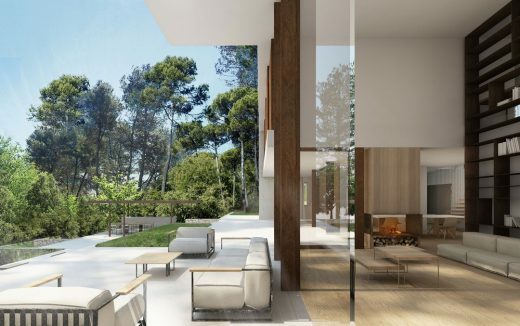 A natural park in front of the plot and the low building density of the area enhance the connection of the house with its natural surroundings. 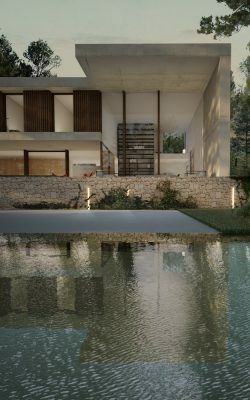 The materials chosen are intended to integrate the house in the landscape. 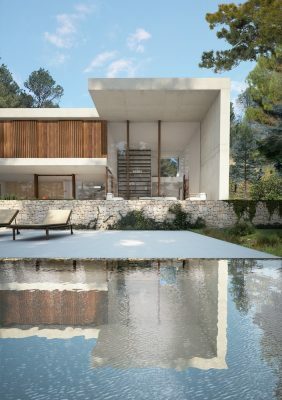 The concrete wall has an off-white colour, similar to the local stone. 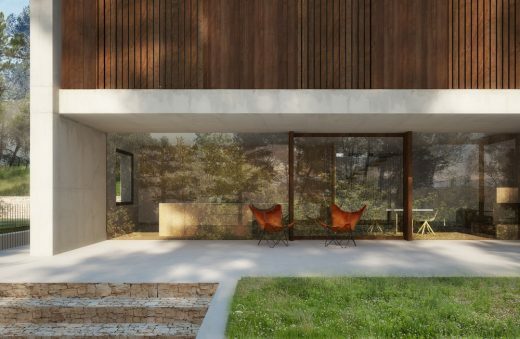 The wood and the corten steel outside the house recall the trees’ trunks. 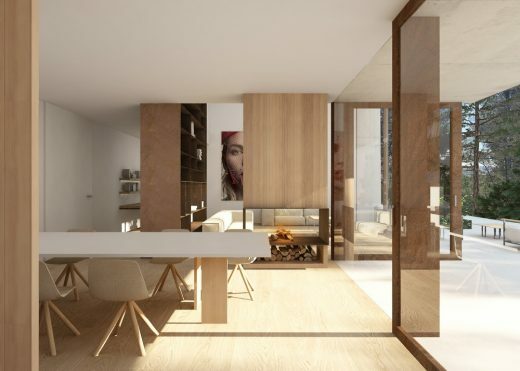 Inside, the wood is lighter so it brings clearness and warmth into the house.